Risk Free and Stress Free Health Statistics Software. I.T. Guaranteed can fully customise Easy Health Stats to collect the statistics that are important to your organisation. We make data input and data retrieval fast, easy and stress free. Reports can be created to your specification to view, for example, key perfornace indicators (KPIs), by month or year, or any other data that you would like reported on. Data collection and regular reporting will become pain free. I.T. Departments love to get rid of MS Access Databases, particularly if they were created in-house by that employee that left years ago. No more struggling with tables and queries. And no more problems with staff fiddling or accidently reprogramming unprotected databases. We can work with I.T. Departments, agency managers and end users to create a solution that is satisfactory to all. Reports are designed to quickly & easily present the data needed to make informed business decisions and to report on the progress of your agency. Reports can be drilled all the way down to easily locate and open the original data. All reports can be transferred directly into Excel with the click of a single button. 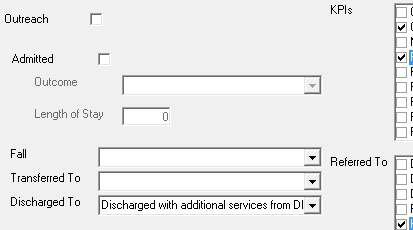 Date Ranges may be selected simply by use of the quick dates selectors. There are KPI Reports and top ten reports as well as built-in graphs and exception reports to notify you of potential problems. Templates can be applied to automatically format the report with your choice of colour or font style. Intuitive features include a comprehensive find box right on the main toolbar which can be used to find records by surname, date or ID make the software a pleasure to use. Dates may be selected with menus, calendars, or simply by pressing quick keys such as + to advance 1 day. It’s the little extras that make day to day use of our software less stressful. The easiest way to learn something new is to watch it being done. 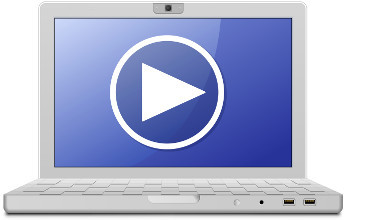 We have created videos to instruct your staff on how to make the most out of Easy Health Statistics. Also included is a comprhensive user manual. 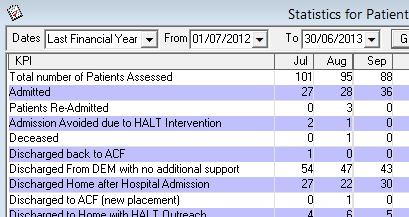 Easy Health Stats comes with multiple free support inclusions. The comprehensive user manual includes an in-depth getting started section, a user guide, and a detailed field reference. There are also video tutorials. I.T. Guaranteed welcomes contact for support by email, phone or skype. Remote desktop support (Quick Support) is available directly from the menu bar. Some of our enterprise clients have been relying on our software daily for the last years. In I.T. years that's like ... forever. In fact, we go back to Windows 3.1 together. We have seen our client's employees come and go. We have attended their employee's retirement parties. We have even had those retirees visit our home for coffee and free PC support. And after that long, some have become family friends. Any and all parts of the software can be customised to the unique requirements of your organisation. Software should operate the way your organisation wants it to, not the other way around. We work with all stakeholders to ensure your organisation's requirements are not only met, but exceeded. We guarantee that you will be satisfied with our 3 hour response times and 48 hour resolution times. Standard support is 9am to 5pm, business days, Australian Eastern Standard Time. 24/7 Support is available by negotiation. It is what we named the business, after all. If our client isn't satisfied, then they can have their money back. You see, we prefer our clients to choose to remain with us rather than be forced to remain due to a contract that locks them in. Your project will gain the approval of your I.T. department quicker and easier due to our GITC accreditation for software development and vast experience in working with government agencies. 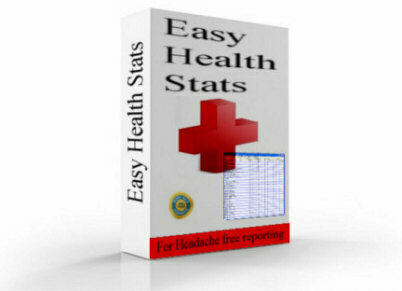 For more information please consult the Easy Health Stats User Manual.